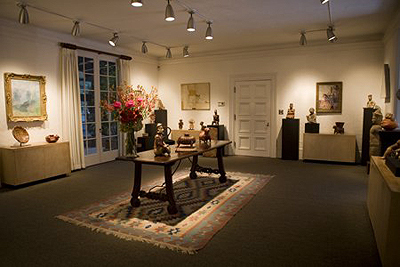 Stendahl Galleries Ceases Operation after 106 Years. After a successful run by three generations of Stendahls and Dammanns, the business has closed in Hollywood. President Ronald Dammann and his wife, April, the gallery's archivist, are selling the historic Hillside Avenue property, having moved to the Northern California coast. 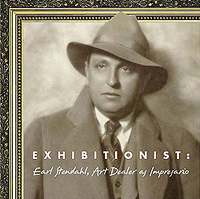 To all of our clients and friends, those who share with us a deep connection to artistic splendors of the past—we say farewell to Los Angeles, but not to our commitment to remain involved in Pre-Columbian art and California Impressionist paintings, as well as the life stories of art world figures chronicled in April's biographies. For APPRAISAL AND CONSULTATION Ron Dammann can be reached by email at stendahlart@aol.com. A legacy of unsurpassed connoisseurship. Ron and April Dammann wish to provide answers to the many questions we receive about ARTISTS and EVENTS from our long history. On the web, please consult the Smithsonian Archives of American Art—Stendahl Art Galleries papers, ca. 1920-1964. To visit: Huntington Library, San Marino, Washington, DC, and other locations. The Getty Research Institute has recently acquired a significant donation of Stendahl documentation and photographs.